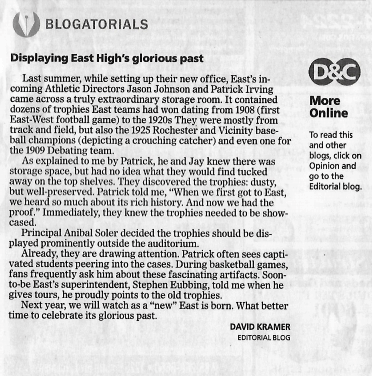 Last summer, while setting up their new office, East’s incoming Athletic Directors Jason Johnson and Patrick Irving came across a truly extraordinary storage room. 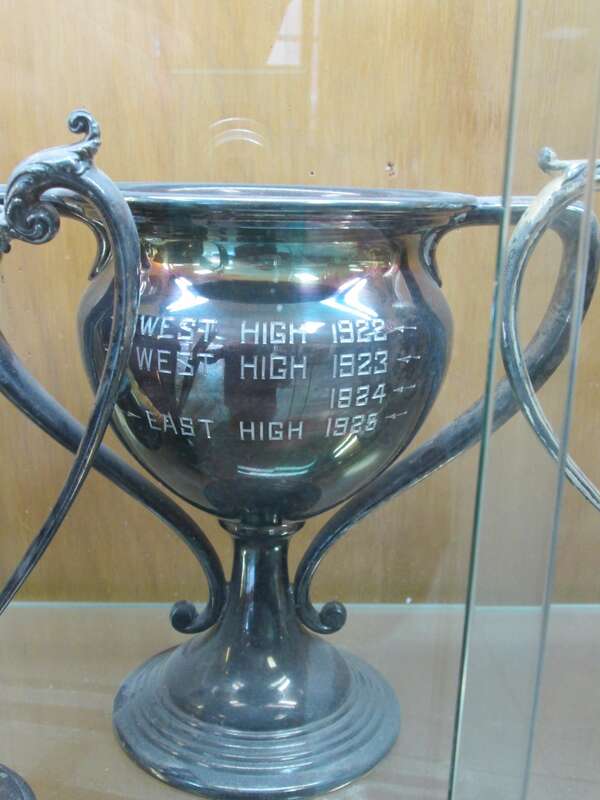 It contained dozens of trophies East teams had won dating from 1908 (first East-West football game) to the 1920s. 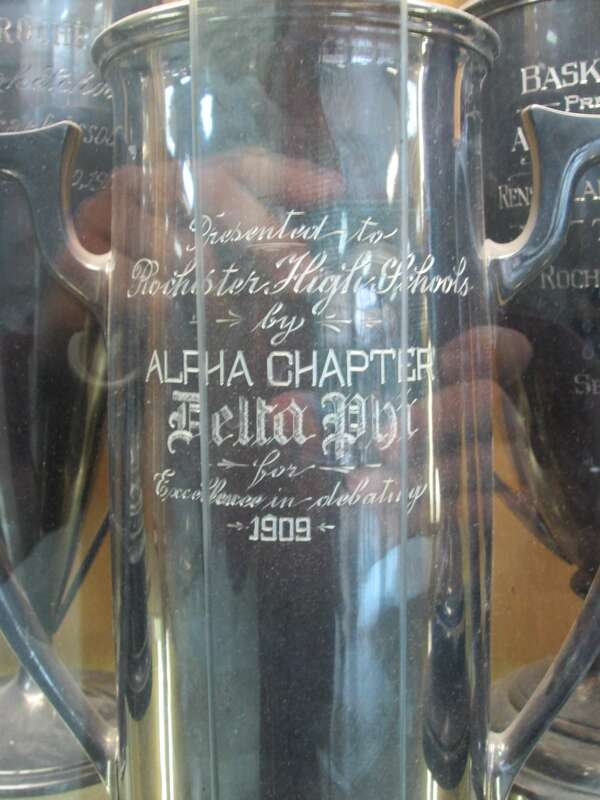 They were mostly from track and field, but also the 1925 Rochester and Vicinity baseball champions (depicting a crouching catcher) and even one for the 1909 Debating team. 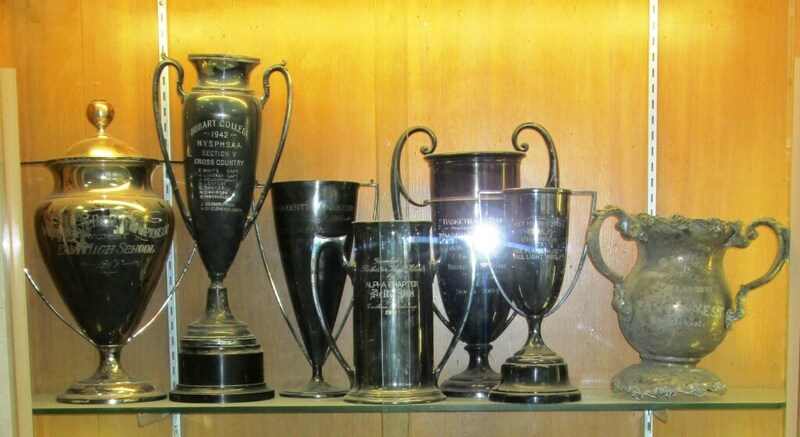 Principal Anibal Soler decided the trophies should be displayed prominently outside the auditorium. As explained to me by Patrick, he and Jay knew there was storage space, but had no idea what they would find tucked away on the top shelves. They discovered the trophies: dusty, but well-preserved. Patrick told me, “When we first got to East, we heard so much about its rich history. 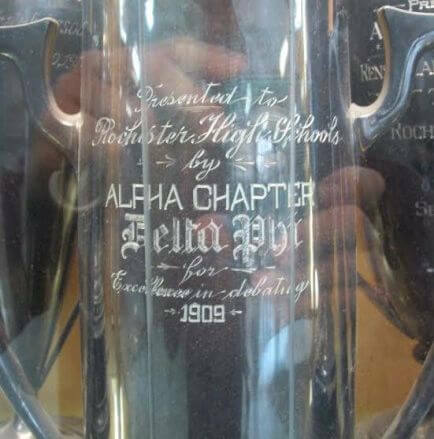 And now we had the proof.” Immediately, they knew the trophies needed to be showcased. East Athletic Director, Patrick Irving. To his left is the 1925 baseball trophy. Already, they are drawing attention. Patrick often sees captivated students peering into the cases. During basketball games, fans frequently ask him about these fascinating artifacts. 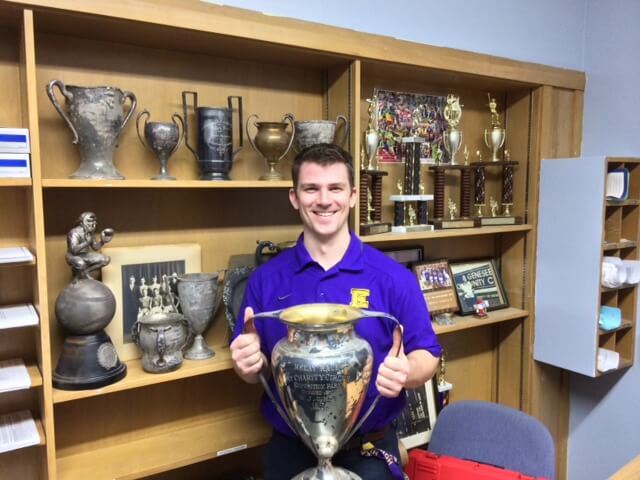 Soon-to-be East’s superintendent, Stephen Eubbing, told me when he gives tours, he proudly points to the old trophies. Next year, we will watch as a “new” East is born. What better time to celebrate its glorious past.